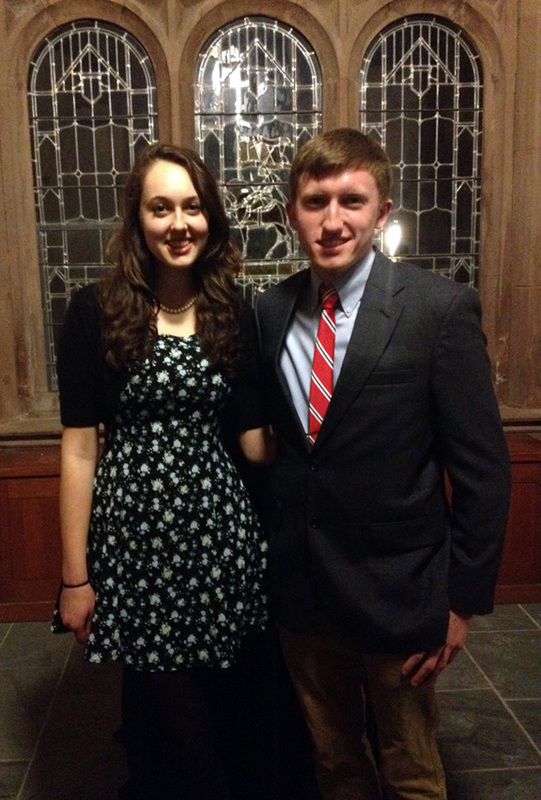 The winners of the 2015 Elmer Adler Undergraduate Book Collecting Prize were announced at the Friends of the Princeton University Library’s winter dinner in March. The jury awarded first and second prize. First prize was awarded to Anna Leader, Class of 2018, for her essay, “’Like a Thunderstorm’; A Shelved Story of Love and Literature,” in which she discusses her passionate collecting of books of poetry, particularly translated and original volumes of foreign-language poetry. Anna explains how her “passion for reading” translated poetry “fuelled a passion for creating it.” In 2013, she was awarded joint first prize in the 18-and-under category for the Stephen Spender Prize for poetry in translation. Anna received a prize of $2000, and the book Love Lessons: Selected Poems of Alda Merini (translated by Susan Stewart). Second prize was awarded to Harrison Blackman, Class of 2017, for his essay “’What Kind of World Do We Live In?’: On Collecting Michael Crichton’s Works and His Successors.” In his essay, Harrison recounts how Crichton’s novels served as the vehicle for his foray into the world of adult fiction. His collection includes many of the pulp novels the author published pseudonymously as well as writers who could be characterized as Crichton’s heirs. Harrison received a prize of $1500, and the book Enhancing Evolution: The Ethical Case for Making Better People by John Harris. Each of the winners also received a certificate from the Dean of the College. The book prizes, chosen to complement each student’s collecting focus, were donated by the Princeton University Press. The first prize essays will be printed in the Princeton University Library Chronicle and will represent Princeton in the National Collegiate Book Collecting Competition, which is sponsored by the Antiquarian Booksellers’ Association of America. Thanks to this year’s judges for their congenial service: John Delaney, former Curator of Historic Maps and Head of the Manuscripts Cataloging Team; Claire Jacobus, member of the Friends of the Princeton University Library; John Logan, Literature Bibliographer; and Paul Needham, Scheide Librarian. This entry was posted in Adler Book Collecting Competition on June 4, 2015 by Julie Mellby.